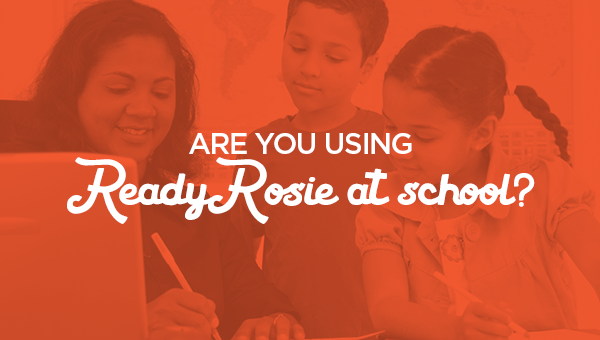 Are You Using ReadyRosie at School? Social media shows us every week how teachers are using ReadyRosie in creative, efficient, and effective new ways. One great example we saw from Sheila Schlecht-Barry at Roan Forest Elementary School in San Antonio, Texas, was how she turned her dramatic play center into a news desk. After watching the ReadyRosie video Weekend News, the children created newspapers at home about their families’ weekend. Students brought the ‘newspapers’ to school and had the fun of reading them aloud from the news desk! Set up The Biggest Number in the math center. All you need is two children and a deck of cards! Put Describe It in a center. Children of all ages love to play this adaptation of Charades. It’s great for reinforcing adjectives.